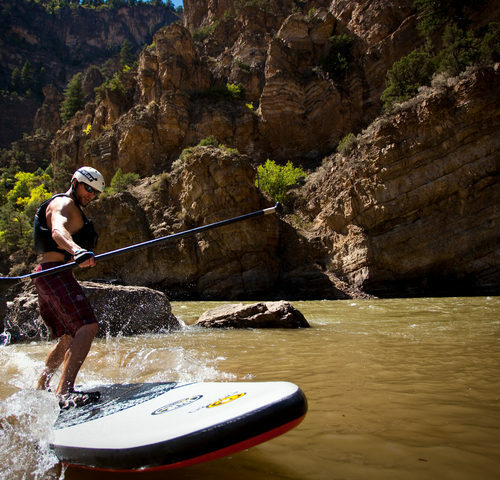 If you’re in Aspen for a summer visit, the sheer number of outdoor activities can feel daunting. 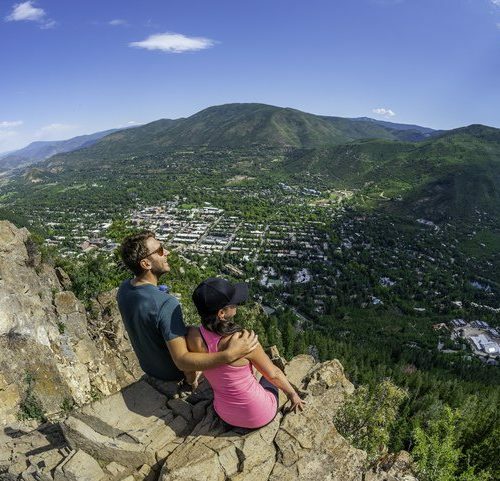 One of my favorite things about Aspen, though, is there is time to fit a LOT in on any given summer day. For obvious reasons, my favorite day of the week is Saturday. My friends and I try to live by the motto “never waste a weekend,” so Saturday starts with a trip to the Farmer’s Market. I’ll pick up my fruits and veggies for the week, a croissant or breakfast burrito, and a sandwich to fuel my afternoon excursion du jour. My favorite weekend hike is actually straight up Buttermilk Mountain. Buttermilk is known locally as Aspen’s beginners’ mountain, but it’s also home of the Winter X Games. I’ve actually never skied Buttermilk, the green and blue runs don’t really interest me. So the first time that I hiked Buttermilk, I was in absolute awe of the jaw-dropping views from its summit. 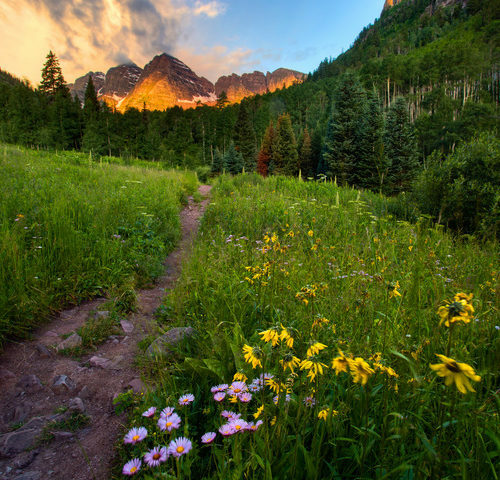 Buttermilk is perfectly positioned so that once you’ve made it to the top, you are looking directly at the Maroon Bells, and Pyramid Peak more specifically. 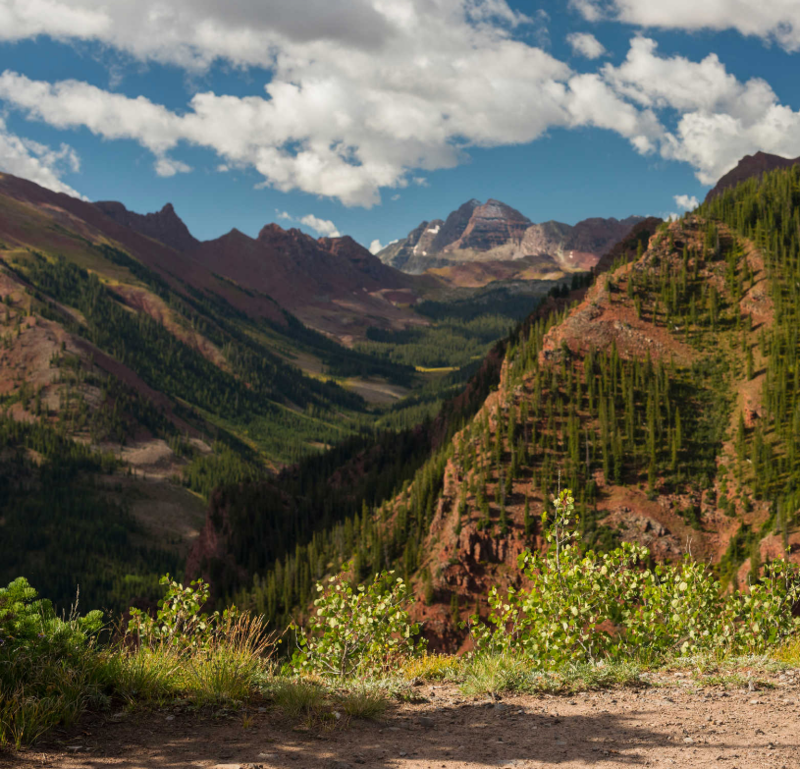 The Maroon Bells are some of the most photographed mountains in the world, and the bird’s eye view from the top of Buttermilk is second to none. The hike itself can be challenging, but part of what I love about Buttermilk is it’s a kind of “choose your own adventure” hike. If you’re looking for a lung-busting workout, you can sprint straight up the narrow single track trail that starts at base and runs all the way to the top (this route is about 2.5 miles with 2100 feet of elevation gain). 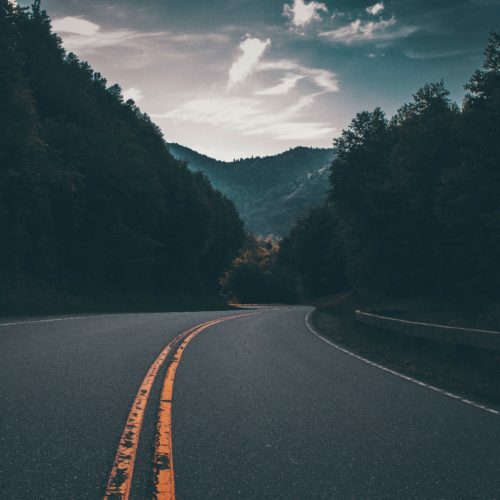 If you’re going to take a more leisurely pace, you’ll start at the same spot (the base of the mountain, right off the main parking lot and Bumps, the base lodge), but instead of going straight up, you can gain elevation at a slow and steady rate. Simply follow the road as it winds its way all the way to the top. The road will certainly take longer, but it’s perfect if you’re hiking with friends and want to have a conversation. Most of the hike is pretty exposed (you’re not protected by trees), so sunscreen is an absolute must. I also always bring along two bottles of water (approx. 20 ounces each), and a snack. Usually, I’ll stop by the Louis Swiss Bakery stand at the Farmer’s Market for one of their delicious veggie and cheese sandwiches. 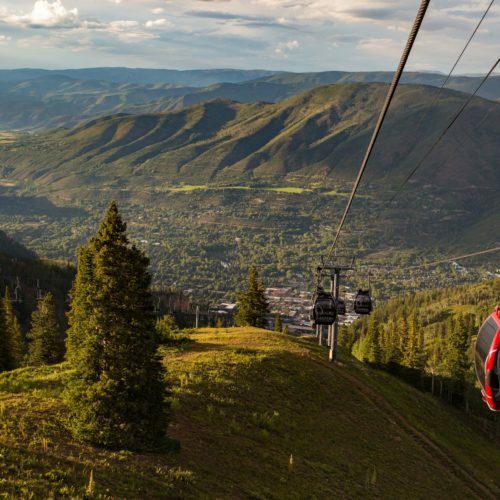 Unlike Aspen Mountain, Buttermilk’s lifts don’t run in the summer, so you’ll have to hike back down. I usually run on the road when I’m headed down. Make sure you’re paying attention while running though; I’ve turned a corner and stumbled upon a herd of deer on more than one occasion! For more information on completing this hike, view the route and map details here. And to stay in the summer, visit the Limelight Hotel.